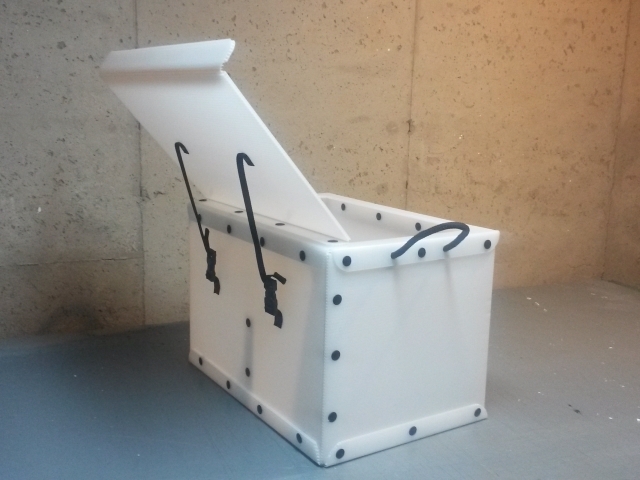 Recently a customer who bought a Camping Kitchen Box contacted me with a request. 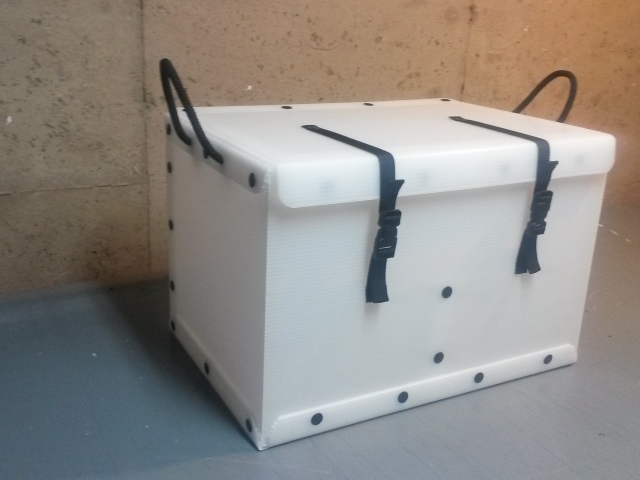 Could I make a companion storage box? After some hemming and hawing on my part, I agreed to come back with some ideas. The final result is displayed below. I do get a lot of requests asking about customizing the Camping Kitchen Box. The writer loves the idea of the Camping Kitchen Box, but they want to know if I can change some of the dimensions If they want to make it taller or shorter that is easy, but if they want to change the width or depth , that is more difficult. For the top and bottom, I use some special tooling that is not easy to change, so to change width or depth I would have to recreate it. I don't usually say no to special requests, but when it comes to width and depth the price I will quote is usually more than folks are willing to pay. Note that on this box, the standard top and bottom pieces are used (the top having a hole of course), so I got to use most of my usual tooling, and the customer got a reasonably priced solution. If you are Interested in something custom I am always willing to listen.